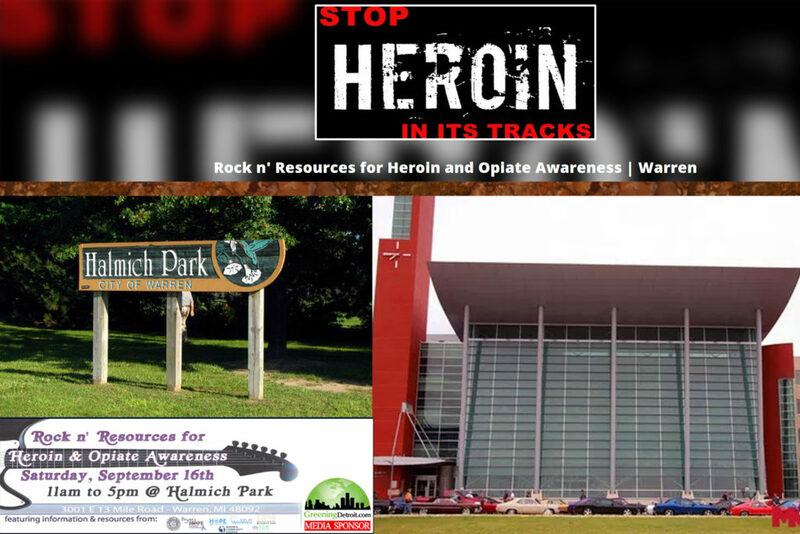 Warren, MI – A rally at Halmich Park in Warren on Saturday, September 16 from 11 a.m. – 5 p.m. will aim at increasing the awareness of the dangers of heroin and opiates. Called “Rock N Resources,” the rally features speakers, bands, demonstrations, information booths and food booths. This is an event to bring more awareness to a terrible disease that is unfortunately sweeping our communities. Sadly, heroin and opiate abuse is on the rise and not enough people are aware of this problem, touching the lives of people we love, friends, family. Warren Mayor James Fouts will be one of the speakers. “This is a growing problem in communities,” said Mayor Fouts, who has been outspoken in many forums about the dangers of heroin and opiate overdoses. Mayor James Fouts also said accidental drug overdose is currently the leading cause of injury-related death in the United States for people between the ages of 35-54 and the second leading cause of injury-related deaths for young people and drug overdose deaths now exceed those attributed to firearms, homicides, or HIV/AIDS.